So they’re doing everything they can to insulate themselves from the potential collapse of their financial system, which largely includes taking their money out of the system. Earlier today, sources in the banking industry told Reuters that over one-third of the ATMs in the country, have been completely cleaned out. 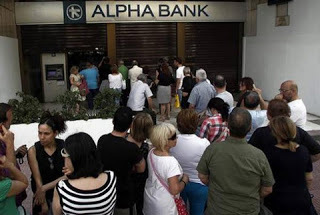 Between 500 and 600 million Euros were withdrawn from the machines on Saturday, which managed to deplete over 2000 ATMs. Despite the alarming trend, the Greek government has claimed that everything is just hunky dory, and that there will be no capital controls imposed on bank accounts next week. 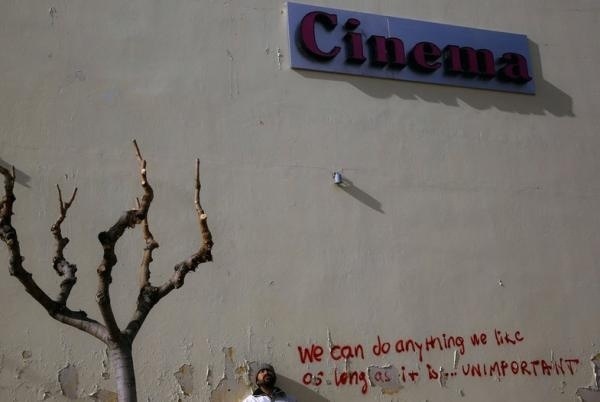 But the Greeks aren’t buying it, or at least they’re not taking any chances with what little money they’ve managed to accumulate since the last financial crisis. Shortly after Prime Minister Tsipras announced there would be a referendum on austerity, Greek citizens left their homes in droves and started lining up behind ATMs at around 2am. No matter what the government and the banks tell them, the Greeks clearly have no confidence in the system. Joshua Krause is a reporter, writer and researcher at The Daily Sheeple, where this first appeared. He was born and raised in the Bay Area and is a freelance writer and author. You can follow Joshua’s reports at Facebook or on his personal Twitter. Joshua’s website is Strange Danger. Regardless, the places are already being set. Alexis Tsipras had better start watching his back. Indeed, the knives are already being sharpened by the color revolution apparatus and history has clearly shown that those who control it are willing to stab their target in the front as well as the back. George Soros has extended his financial support for Greece by establishing the first in a series of “solidarity centres” for those worst-hit by the country’s economic crisis. The opening of the centre in the northern city of Thessaloniki comes as ever more Greeks are forced to turn to charities for help. “Greece, to a great degree, has become a failed state,” said Aliki Mouriki, a sociologist at the National Centre for Social Research. “It is unable to provide basic facilities for its citizens because of budget cuts. The centre – a hub for NGOs offering health care and legal counsel – has been deluged with requests only days after opening its doors. Soros committed $1m for heating oil last year after local mayors, unable to heat schools, appealed for help. Among them was Tassos Karabatos, mayor of Naoussa, also in northern Greece, who turned to the US investor after taking the unprecedented step of shutting down all 54 schools in his municipality when he saw that oil tanks were running dry. While Soros’ donations may seem at first to be an act of incredible generosity, it would take gross naivete and ignorance of the billionaire’s history across the world to believe that he has anything remotely resembling good intentions for Greece. Notice that, while Soros has bought some watery-eyed loyalty with his donations, it is also true that his “Solidarity Centres” are also “a hub for NGOs,” a necessary part of any color revolution. 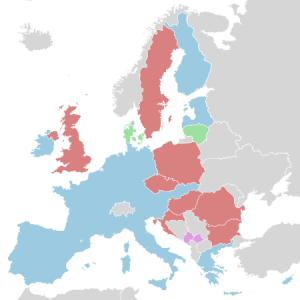 In fact, the currency speculator Soros has funded a number of color revolutions through his “democracy” and “civil society” NGOs in Europe and even the United States. Of course, some Greeks were not as foolish as to look toward the Soros machine for help. A number of school parents’ associations refused to endorse any of the Soros funds. The presence of mind of the Greek people earned them condemnation from many of their local leaders, however. Indeed, Soros is most well-known for playing a major role in the funding and facilitating of the “Bulldozer Revolution” in Serbia that overthrew Slobodan Milosevic in 2000, Georgia’s “Rose Revolution” of 2003, the 2006 push to move Turkey toward a more Islamist governing structure, and even the Occupy movement in the United States among a great many others. Police clashed with demonstrators in central Athens on Friday night as thousands attended rallies to mark the fifth anniversary of a fatal police shooting of a teenager – a killing that triggered major riots in Greek cities for three weeks. Police said four officers were injured in the clashes on Friday, 10 people were arrested for causing public disturbances and 55 people were detained for questioning. Police used tear gas, pepper spray and stun grenades in a bid to quell the rioters. Tear gas is fired in Greece, as protesters clash with riot police in the country’s capital. Thousands of public sector workers took to the streets today in a nationwide strike to protest more spending cuts. In a separate rally a group of demonstrators marched against the fascist Golden dawn party after the killing of an anti-fascist activist yesterday. rocks were thrown at police who responded with tear gas. RT ‘s Lucy Kafanov reports from the scene of the violent protests. 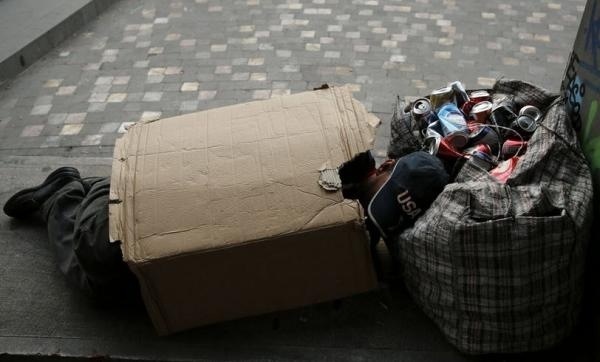 40-year-old Yiorgos, who became homeless in 2010 after his grocery shop went out of business, sleeps outdoors in central Athens February 3, 2013. 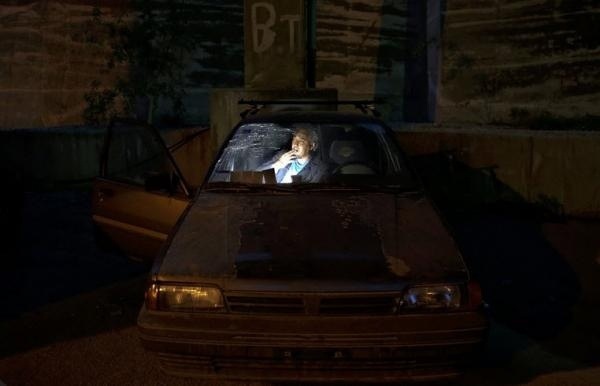 42-year-old Alexandros, from Serres in northern Greece, sits in the abandoned car he lives in, at the port of Piareus near Athens April 10, 2013. Alexandros owned a plant shop in Athens until 2010, when it was forced to close, he became homeless soon after. 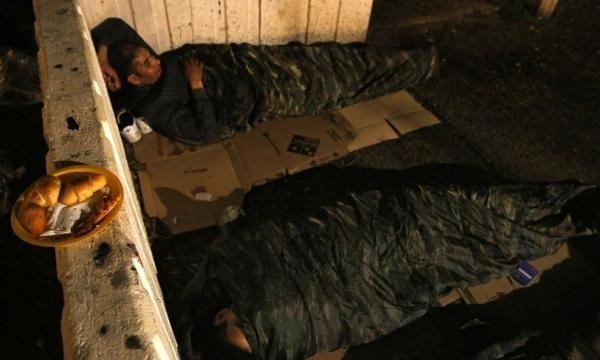 Homeless people sleep outdoors in central Athens April 14, 2013. A homeless scrap collector sleeps outside in central Athens May 26, 2013. Stephanos became homeless in late 2012 when the clothes shop, where he had worked for over a decade, closed down and he had no income to pay for his flat. He now lives next to a church in central Athens and eats in soup kitchens. Stephanos smokes a cigarette as he sits on a rug in central Athens May 16, 2013. 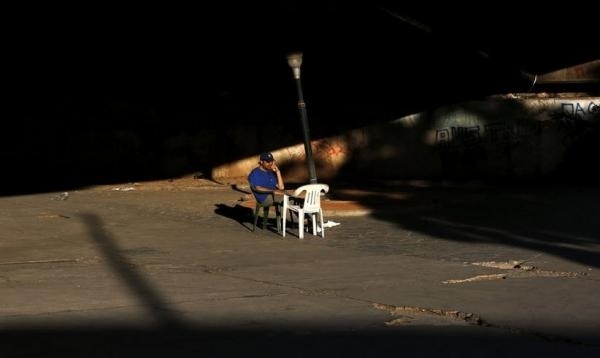 36-year-old unemployed clerk Michael sits in the sun near a bridge in central Athens May 24, 2013. Michael worked as a hotel clerk for over fifteen years but when the hotel closed he was unable to find work and in late 2011 became homeless, two months later he was diagnosed with lymph node and thyroid cancer. He now lives outside a church. 51-year-old Romanian truck driver Adrian, who lost his job in 2010 when the lorry company he was working for closed down, sits with his head in his hands in central Athens January 18, 2013. Adrian survives by collecting scrap and lives in an abandoned warehouse in Athens central vegetable market. 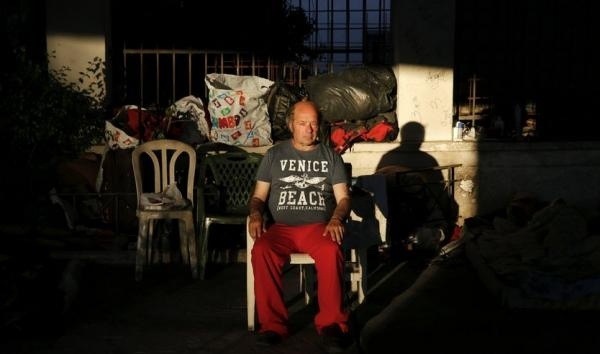 50-year-old Giorgos sits with his belongings under a bridge, where he lives with a group of other homeless people, in central Athens May 25, 2013. Giorgos was forced to close down the billiard hall he owned in 2006, and spent time in prison for not paying his social security debts. 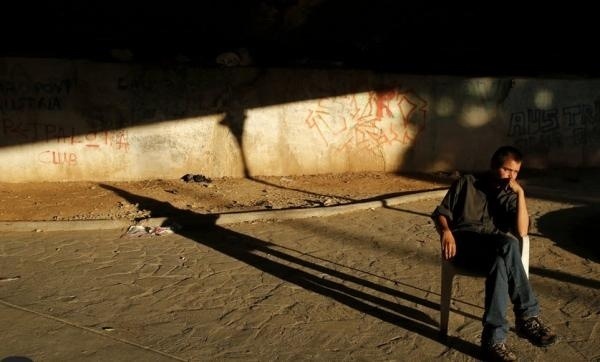 35-year-old Vassilis, who has been treated for severe physiological issues, sits in the afternoon sun under the bridge where he has lived for the last year and half in central Athens May 25, 2013. 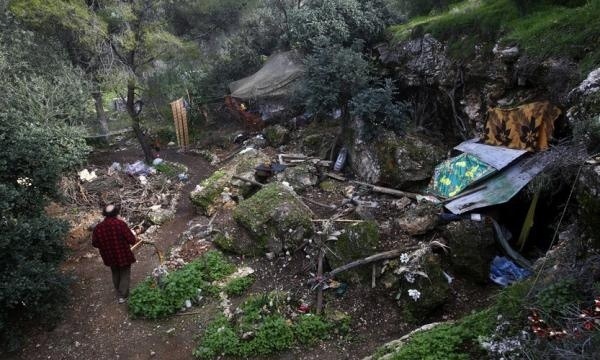 58-year-old Matheos stands next to the makeshift shelter where he has lived since late 2011, on a hill in central Athens January 23, 2013. 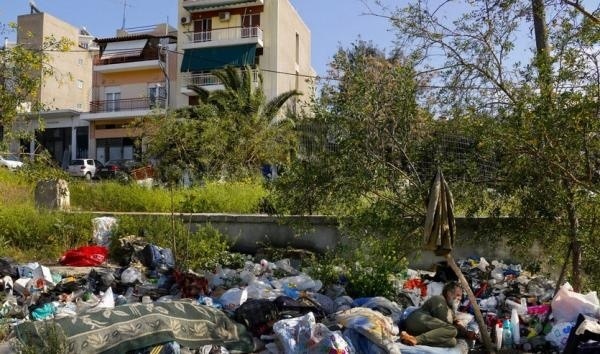 56-year-old Boris Potev, a Bulgarian immigrant, lies on a mattress amid garbage in an Athens suburb April 9, 2013. Michael, a 36-year-old unemployed man, poses by an abandoned open-air cinema in central Athens February 8, 2013. Michael worked as a hotel clerk for over fifteen years but when the hotel closed he was unable to find work and in late 2011 became homeless. Two months later he was diagnosed with lymph node and thyroid cancer. He now lives outside a church. Marialena, a former drug addict who is on a methadone rehabilitation program, pushes away her boyfriend Dimitrios who is trying to clean up her self-inflicted wounds, under a bridge in central Athens May 15, 2013. 42-year-old Marialena, a homeless AIDS sufferer and former drug addict who is on a methadone rehabilitation program, drinks coffee after waking up next to her boyfriend Dimitrios in central Athens May 26, 2013. Dimitrios, 51, was a dancer in a famous Greek folk dancing troupe until he lost his job three years ago and became homeless. One in four people are now officially out of work in Spain as unemployment in the debt-ridden country reaches another record. The grim news comes as Madrid’s transport workers go on strike, adding to a sixth day of protests in the capital against austerity cuts. 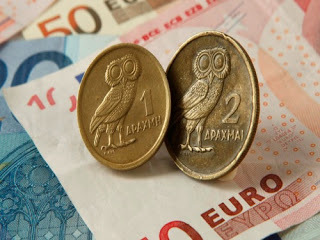 That’s as another epicentre of the EU crisis – Greece – looks likely to miss its promised deficit deadline. The forecast from the International Monetary Fund’s debt inspectors comes a year after EU leaders applauded what they considered a key deal to save Athens.